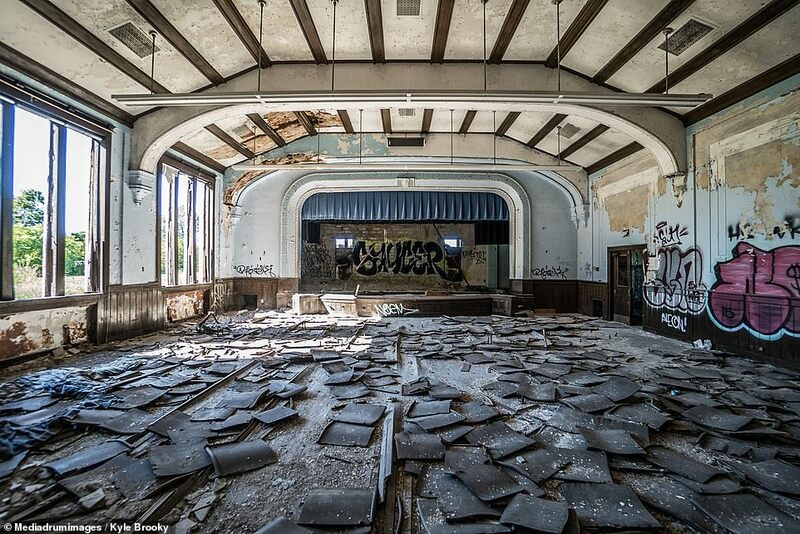 The wide swaths of vacant lots, cracked sidewalks, abandoned neighborhoods and derelict buildings have made Detroit an urban explorer’s paradise. 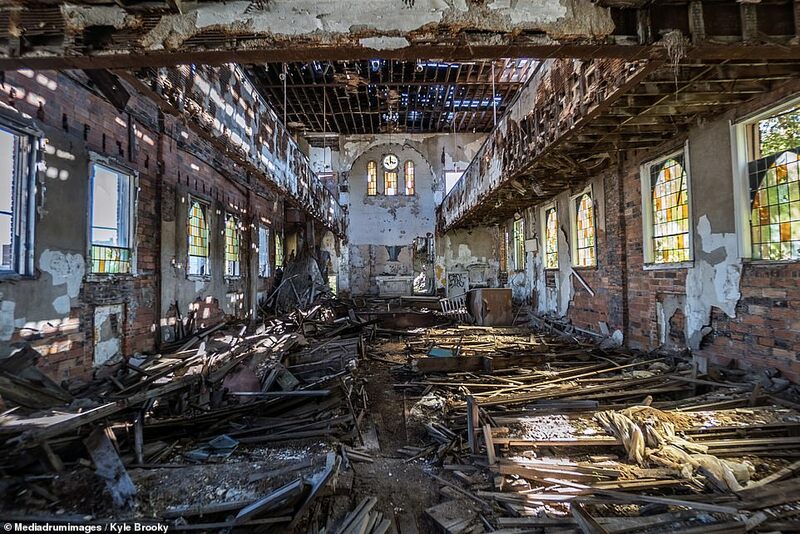 The city is populated by hundreds of abandoned facilities that have been stripped of their former glory: churches, ballrooms, children’s centers, schools, train stations and hospitals. 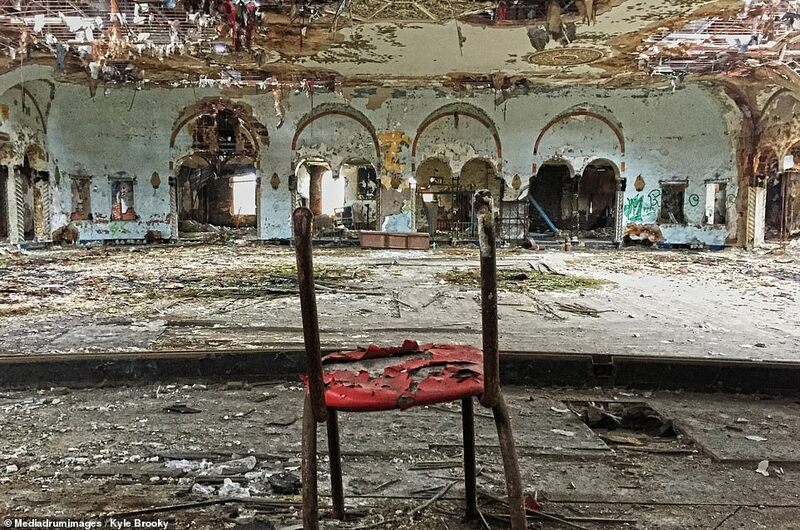 These haunting scenes are the subject of photographer Kyle Brooky’s forthcoming book, ‘Abandoned Detroit’ to be released on March 29. The book’s 200 colorful photographs of the city’s skeletal remains serve as an elegy to the lost soul of the American city that gave the world Motown music and muscle cars. The spectacular rise and fall of Detroit during the 20th century has been well documented by historians, economists and urban anthropologists. The Michigan metropolis imploded after decades of resource depletion, government corruption and the outflow of people searching for work and new opportunities following the shattering loss of the car industry. This turned the city into a hot-bed for poverty, civil unrest and violence—plunging the prairie town into devastating despair. The boom and bust history of Detroit can be defined in numbers. It was the fourth largest city in the U.S. with 1.85 million residents during the height of its success in the 1950s. 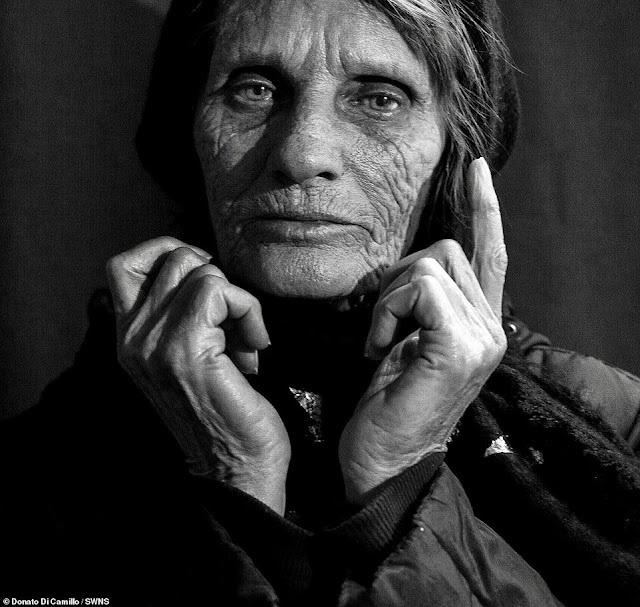 Today there are fewer than 700,000. 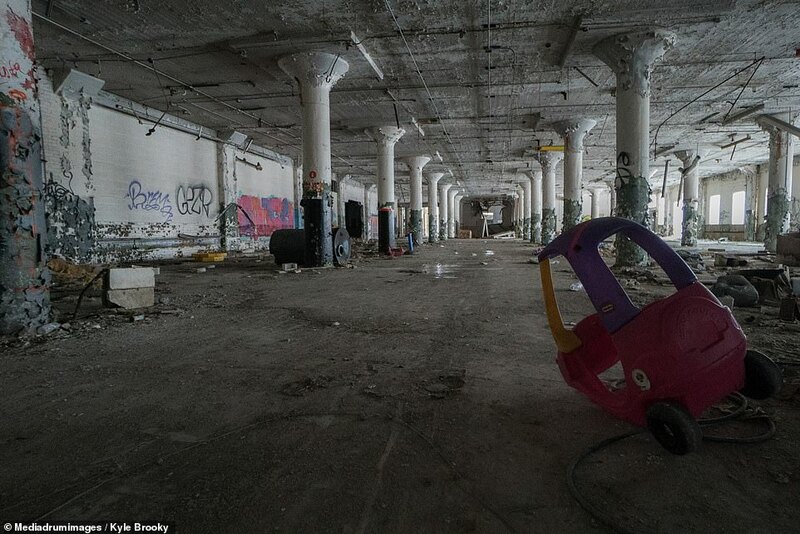 The Motor City, once the capital of car manufacturing now has an estimated 70,000 abandoned buildings, 31,000 empty homes and 90,000 vacant lots. 'Once a symbol of the nation’s industrialization and growth, it has become a veritable ghost town,’ said Brooky. Post war job losses kicked off the city’s decline which continued steadily over the latter half of the 20th century. 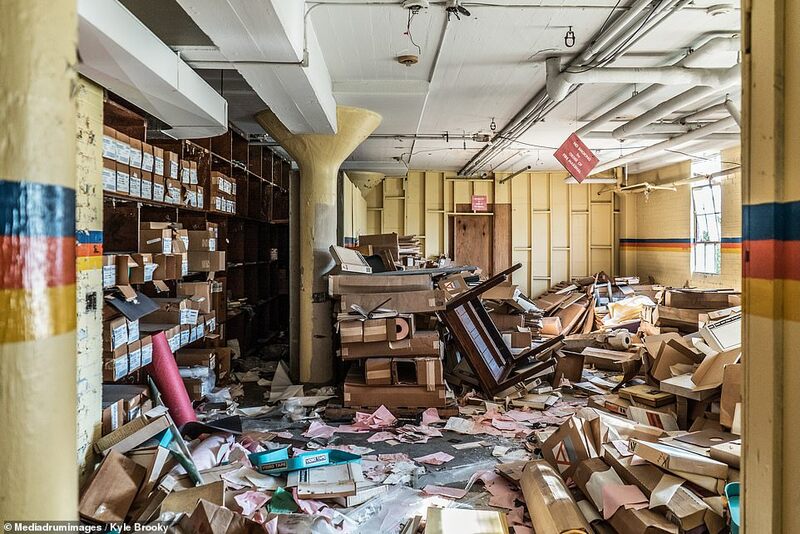 The culmination Detroit’s fallout came to a head in 2013 when the once booming jewel of the Midwest filed for Chapter 9 bankruptcy. The debt was estimated to be over $18 billion dollars, making it the largest municipal bankruptcy in American history. 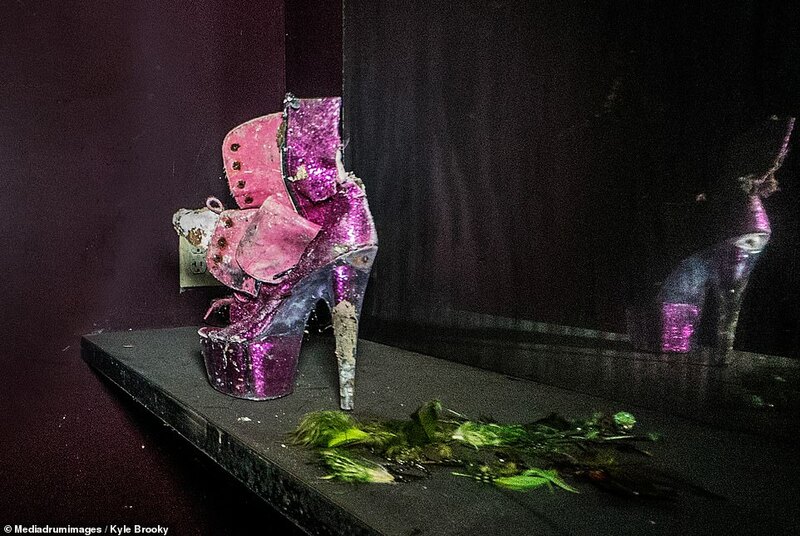 Brooky’s evocative photos show the beauty and poignancy in decay. 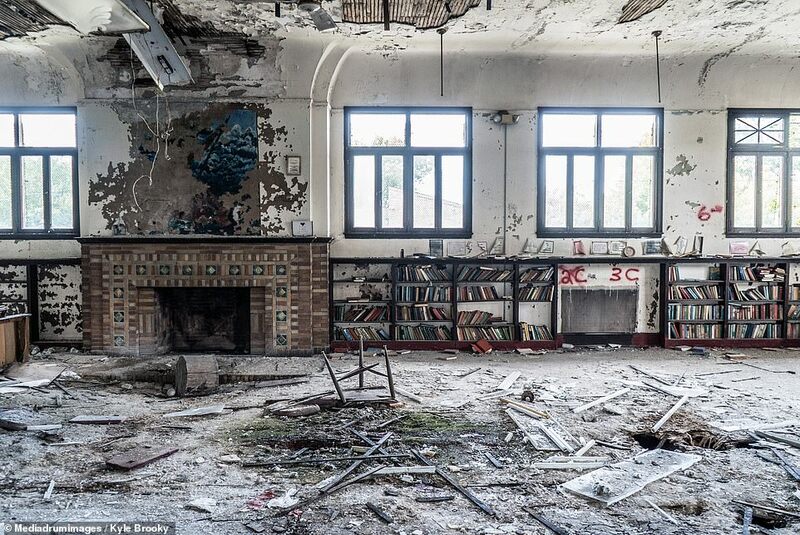 A stack of forsaken prayer books looms in the foreground of an abandoned Methodist church. 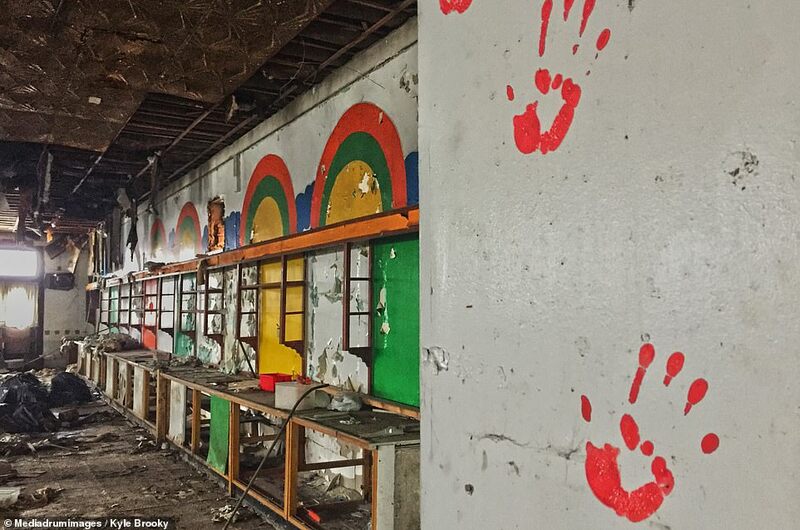 The vibrant aqua blue plaster of a former ballroom is marred by peeling paint and graffiti. 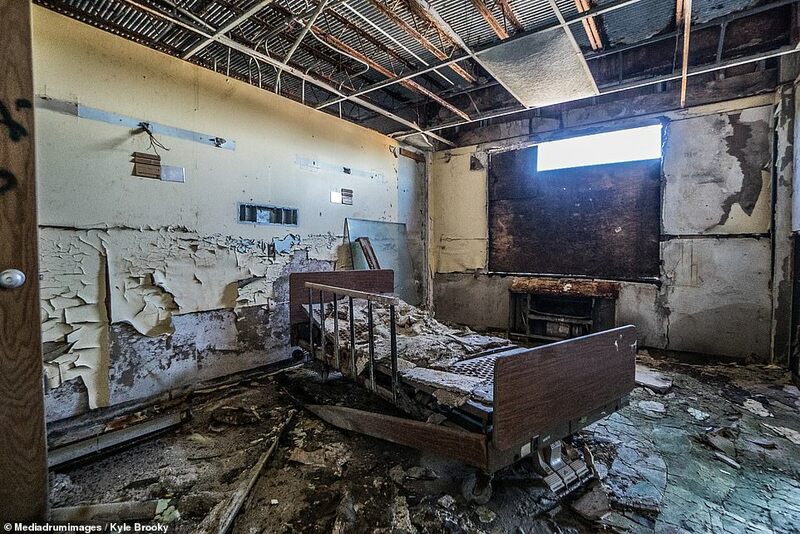 Time stands still in a forgotten children’s center with a toy car flipped in the middle of the room, a mangled bed in a ghoulish hospital and a former greenhouse taken over by vines and dead foliage. Yet there are green shoots hinting at hope and recovery in downtown Detroit. 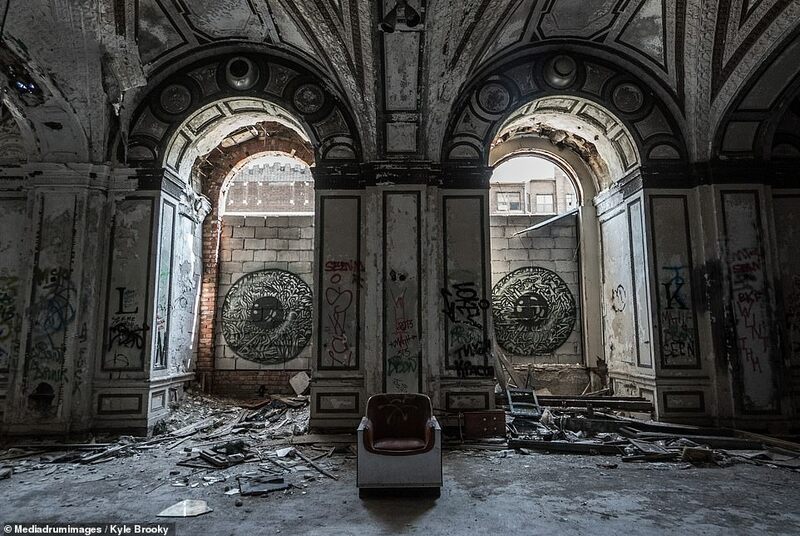 Ford has begun work on a $350 million project to rejuvenate the infamous Michigan Central Station. Little Caesar’s Arena, a massive entertainment center completed construction in 2017. High-end condos and apartments are developing on the city’s former warehouse district while displaced millennials looking for an urban lifestyle have started to flock to Detroit in droves - bringing restaurants, coffee shops and boutiques. Perhaps there is hope in devastation after all. Entire neighborhoods across Detroit have been deserted. Over one third of all properties in the city were foreclosed on between 2005 and 2014, totaling roughly 140,000 homes and buildings.